Today I'm opening my post with a question... Do you have a style of scrapping that you stick to or do you break your own rules and just 'wing-it'. I never really thought about 'style' and whether or not I had one until I was filing my layouts into an album and almost every page had an all white background. It got me to thinking that perhaps I needed to break away from this repetition and 'dare' myself to use an all patterned background. 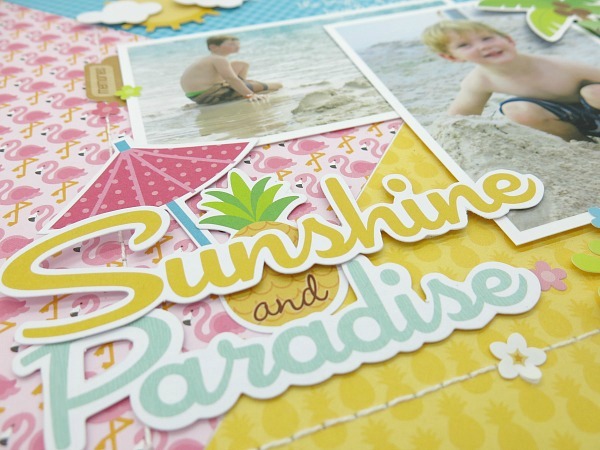 I was spoilt for choice with all the gorgeous patterned papers in the 'Fun In The Sun' collection but I must admit I did find it difficult to get my head around using patterns. I nearly caved and went for the white but I stayed strong. I don't know if you would call stitching a particular part of anyone's style but it's something that I love doing on most of my layouts. At first I thought the patterned paper would be more than enough without having to add stitching but in the end I succumbed and added it anyway. Some habits are hard to break. Now let me just make mention of the brand new 'Odds & Ends': it's a small packet of non-adhesive die-cut pieces that will have you wondering where your restraint has gone. So, who is going to try a break away from their usual 'style' and create a layout that is completely opposite to what you would normally do? We'd love to see what you come up with. Don't forget to pop back tomorrow for the final 'Fun In The Sun' project with Courtney before we head into next week with the all new 'Smitten Kitten' collection. 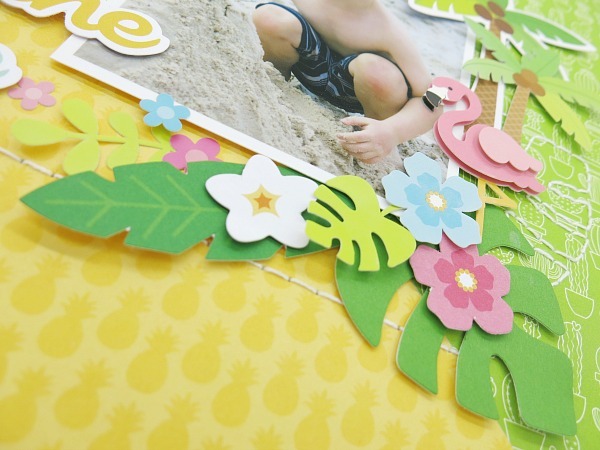 I love all the gorgeous prints and fun embellishments on this lovely page! The stitched frame with the cloud is a wonderful detail! 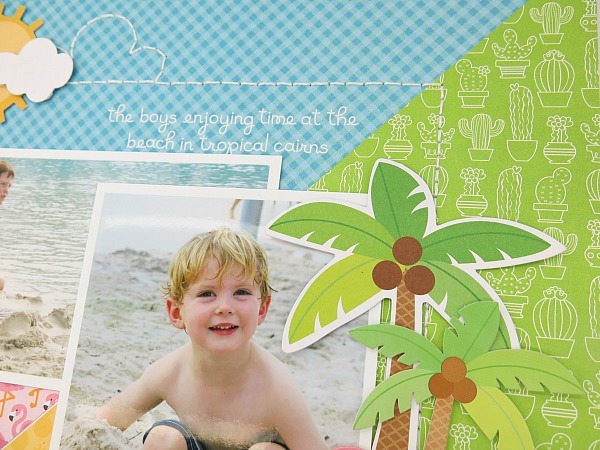 This is paradise - love the stitching on this layout and the way the pattern papers have been used to come together in that background!! Wonderfully done! !